Pure Natural 100% Virgin Coconut oil soap that's pure white naturally. It is unscented and uncolored for those with sensitive skin. No color, fragrance or artificial additives. Vegan. Natural pure coconut oil handmade soap has been made with only 100% virgin coconut oil with no preservatives, artificial colors or fragrances. It is a pure white soap and has been superfatted at 20%, which makes this hanmdade soap very mild and gentle. It is suitable for any skin type and helps retain some of the moisturizing properties from the coconut oil. 100% pure all coconut soap lathers well in sea or ocean water and creates creamy lather and bubbles. Natural virgin coconut handmade soap has been made with the cold process method with minimal heating. This method helps retain the goodness of the coconut oil as much as possible. The scent of coconut does not come through in the soapmaking process, making this bar unscented. As with any handmade artisan soap, it is best to let the soap dry between uses and use a soap deck or a soap dish that drains. This will help extend the shelf life. Helps wash away dust and dirt without leaving a residue. 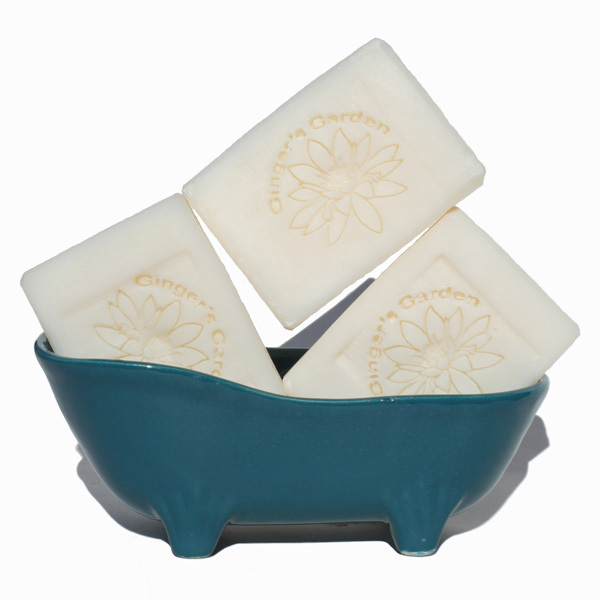 Coconut Natural and Virgin Pure unscented soap will not strip your skin of precious moisture. Each soap bar is about 5 ozs. but the actual weight might very slightly as each bar is cut by hand. Ingr: Water, Virgin Coconut Oil, Sodium Hydroxide. Superfatted at 20% for extra mildness.